I found some hair gels that I like but I'm warning you now that they are not Eco-Chic nor do they contain many "natural" ingredients. I know I said I wanted the African Formula (natural) Styling Gel and I still do but I don't think it's available in stores and it's about $10 for a 4oz jar. All those factors plus no job = using something less Eco-Chic for a while till a new job is in the pic. Ya dig? I have the kind for extra dry hair. I like this gel because it's actually very moisturizing but don't worry, it doesn't leave my hair looking like I have a jheri curl. LOL. Some of the ingredients include panthenol, aloe vera gel, and glycerin. 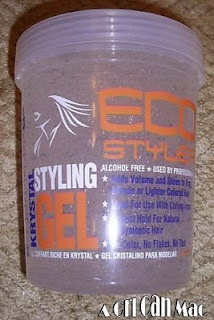 It doesn't give me enough hold though so I like to use it underneath Eco-Styler styling gel. 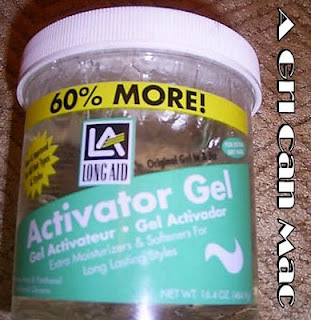 This gel gives me the hold I want but can make my hair crunchy when used alone so I like to use it with the Long Aid Activator Gel or another moisturizing product (like aloe vera gel or leave-in conditioner) underneath it. I'm sure I will not use these gels forever. So these work for now but b/c they are not Eco-chic and don't have the "safest" ingredients according to the Cosmetic Database, I will continue to look for more natural yet just as effective alternatives. I still have to try the flaxseed gel recipe; it might be that natural alternative for me. What hair gels do you like? 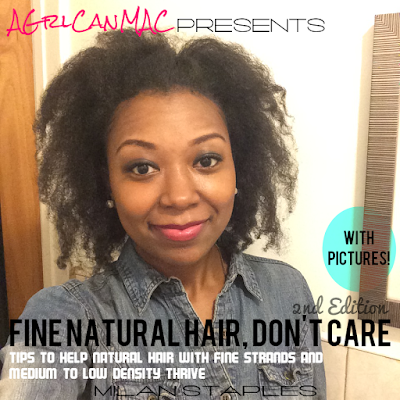 I use World of Curls lite hair gel-original jheri care juice! It holds my hair for upswept styles without flaking or getting too clammy but I dare not read the ingredients. I would love to use something more natural but don't know what. I know this post was written in April- have you found any alternatives since then? I love Smooth and Shine Curl activator gel, curl goddess gel and wonder curl jelly. They all work GREAT!! !